EVERYONE HAS A DECISION TO MAKE – WHAT WILL YOU DECIDE? 2016 has no doubt been one of the most interesting political years in America ever (to say the least). no matter where you stand come November, there is another Decision in 2016 each one of us has to make that is far more important. Jesus invites you to follow him in an extraordinary way of life that is for now and forever. Jesus invites you to follow him in an extraordinary way of life that is for now and forever. What will you decide? Big Idea: Are you a fan or a follower? Jesus invites you to follow him into an extraordinary way of living. You have a decision to make. Big Idea: Jesus isn’t satisfied with a casual friendship or a weekend relationship. He wants to intimately know you and be known. What will you decide? Big Idea: When we decide to follow Jesus, it means we will lead like Jesus. Jesus teaches us to leverage our authority and influence for the good of others. 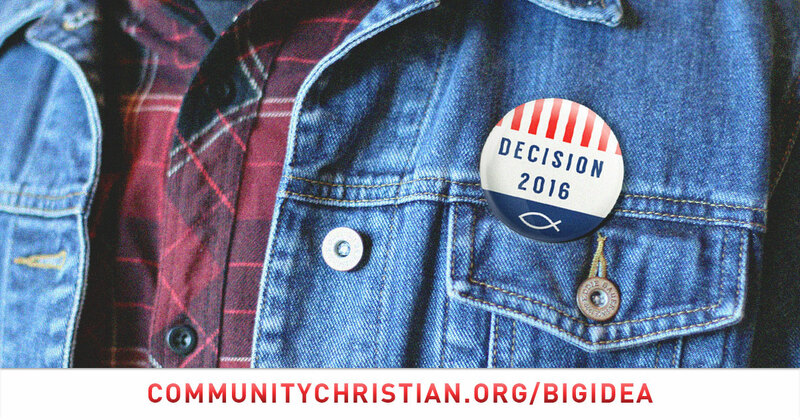 Big Idea: When we decide to follow Jesus, we choose to build bridges to people who are different than us. Click here for the suggested resources for this topic. 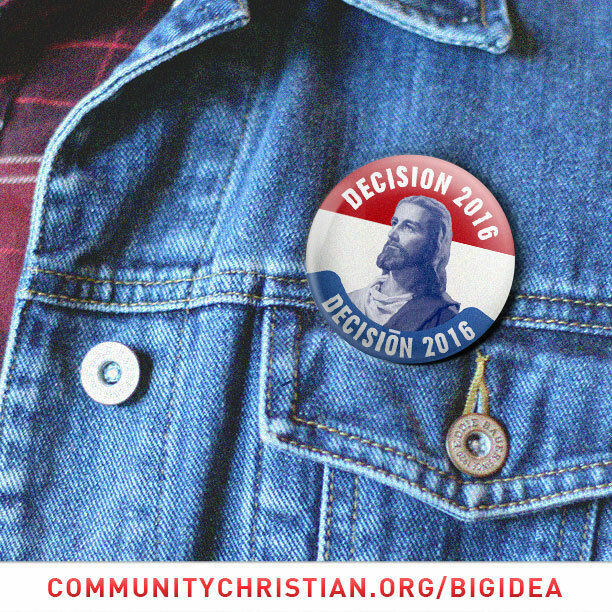 Big Idea: When we decide to follow Jesus, we approach politics the way Jesus taught us to approach everything…by putting love for God and love for people first. Jesus invites you to follow him in an extraordinary way of life that is for now and forever. What will you decide? Join me for our new series at COMMUNITY!